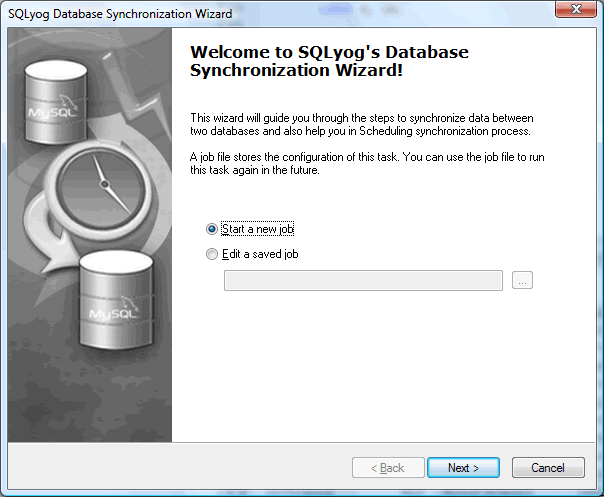 You can start Database Synchronization with SJA by using the Wizards available with SQLyog or running SJA from the command line. Linux users can only use the command prompt option. 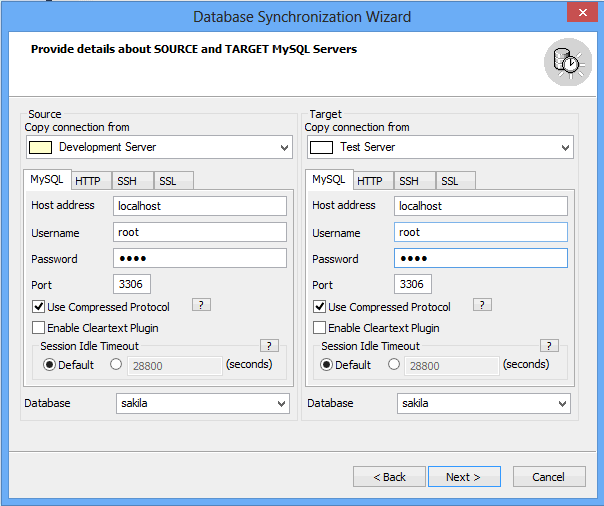 This page allows you start up a new synchronization session or to edit an existing synchronization session. Select Start a new…and click Next to start a new synchronization session. In this page you need to provide details about your Source and Target databases. The source database is the one whose data you want to copy to the target database. The target database is the one whose data will be synced with the source database. For more information on how to connect to MySQL servers click here.